Nikolai Skoblin was born in 1892. He joined the Russian Army and remained loyal to Tsar Nicholas II after the Russian Revolution and was a supporter of General Lavr Kornilov. 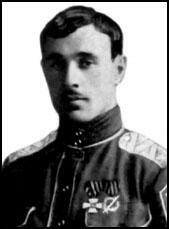 During the Russian Civil War he was a cavalry officer in the White Army. According to Edward P. Gazur, the author of Alexander Orlov: The FBI's KGB General (2001): "Skoblin commanded the famed Kornilov Division during the Civil War and had earned the distinction of being a ruthless but brave leader. His division had won many battles against the Red Army and was dreaded by the enemy because of its reputation for hanging or shooting captured Communists on the spot." In one battle in 1919 he captured the singer and Bolshevik supporter, Nadezhda Plevitskaya. Skoblin fell in love with Plevitskaya and despite their different political beliefs they married after the defeat of the White Army in the Russian Civil War. The couple moved to Paris and Skoblin joined the Russian All-Military Union (ROVS). The organization attempted to start a national anti-communist uprising in Russia. Lieutenant-General Skoblin became the organization's intelligence chief. Skoblin's wife remained sympathetic to the Bolsheviks and eventually persuaded her husband to change his political beliefs. Skoblin was recruited by Mikhail Shpiegelglass, a senior figure in the NKVD. It has been argued by Richard Deacon, the author of A History of the Russian Secret Service (1972) , that Skoblin was a friend of Sidney Reilly and started working for the Bolshevik secret police soon after his arrest in 1925. It was agreed that Skoblin should adopt the role as a supporter of Adolf Hitler and the rising Nazi Party in Germany. In January 1930, General Alexander Kutyepov , the chairman of ROVS, was kidnapped on the streets of Paris. Pavel Sudoplatov later recalled: "This job in 1930 was done by Yakov Serebryansky, assisted by his wife and an agent in the French police. Dressed in French police uniforms, they stopped Kutepov on the street on the pretext of questioning him and put him in a car. Kutepov resisted the kidnapping, and during the struggle, he had a heart attack and died." In December 1936, Nikolai Yezhov established a new section of the NKVD named the Administration of Special Tasks (AST). It contained about 300 of his own trusted men from the Central Committee of the Communist Party. Yezhov's intention was complete control of the NKVD by using men who could be expected to carry out sensitive assignments without any reservations. The new AST operatives would have no allegiance to any members of the old NKVD and would therefore have no reason not to carry out an assignment against any of one of them. Within the administration of the ADT, a clandestine unit called the Mobile Group. Led by Mikhail Shpiegelglass, its main target was NKVD officers serving abroad who were threatening to defect. Its first victim was Ignaz Reiss who sent a letter to the Soviet Embassy in Paris explaining his decision to break with the Soviet Union because he no longer supported the views of Stalin's counter-revolution and wanted to return to the freedom and teachings of Lenin. Reiss was murdered in a village near Lausanne, Switzerland. Nikolai Yezhov wanted to demonstrate the Mobile Group capabilities by kidnapping General Yevgeny Miller, the chairman of the Russian All-Military Union. 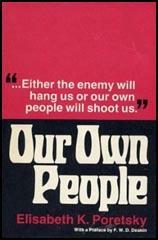 As Edward P. Gazur, the author of Alexander Orlov: The FBI's KGB General (2001): "Yezhov sent for Shpiegelglass, who had just returned from Switzerland after successfully arranging the assassination of KGB defector Ignaz Reiss, and asked if Shpiegelglass's Mobile Groups could handle the assignment. In the past, such assignments were handled by foreign nationals, who were members of the Communist Party of their country and associated with the Comintern; the Soviet Government could then deny any responsibility. Shpiegelglass acknowledged that the task could be done but that it would take at least three months of planning because of the strict personal environment surrounding Miller and because the vigilant French police made such an operation fraught with danger. Shpiegelglass suggested several possible scenarios for the kidnapping, but in the end Yezhov wanted immediate action. He proposed that Miller be lured under a suitable pretext to a house on the outskirts of Paris, where he would be drugged and then taken to a Soviet vessel in one of the French ports for delivery to the Soviet Union." Mikhail Shpiegelglass met Skoblin and it was decided to lure Miller into a trap. Skoblin was the ROVS intelligence chief and he told Miller that he arranged a meeting with two German army officers based in the German Embassy who were willing to pay for any information they had on the Soviet Union. 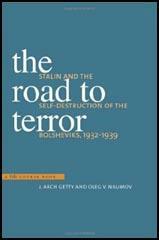 On 22nd September, 1937, Miller got in Skoblin's car and they drove to a villa which the NKVD had rented. The two German officers were in reality, Shpiegelglass and one of his agents named Valeri Kislov. Miller was over-powered and injected with a sedative. Miller was placed in a large wooden container with numerous air holes. It was taken to Le Havre and placed on the Soviet cargo ship, Marya Ulyanova. That night it took the route north of Denmark to Leningrad.